So much good stuff happened on this trip it’s gonna be hard to share it all without writing a small book. 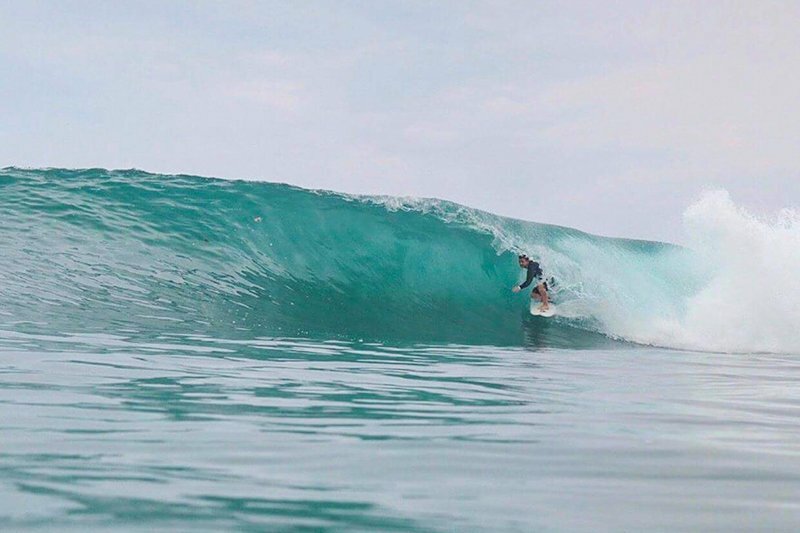 Let’s just say it pumped, barrels were had, fish were caught, birthdays were celebrated, fireworks were let off, and a few Gold Coast mates of superguide Zak (Jacko, Josh and Simon) finally found out why he goes through life with a smile on his face. Jacko. “Chin” charged GT’s, didn’t hold back and got the wipeout of the trip. Went nuts with the fireworks, lighting up the lagoon out the front a few times while wearing a telo mask he bought off the village kids. Josh. Was beside himself with excitement at GT’s going bonkers after each wave. Caught a few squid but never mentioned to pull in any fish no matter how hard he tried. The two songs rotation policy never favoured his luck. Simon. Got the most tube time of the trip. Definitely has the biggest double-fist claims the Telos has ever seen. Outfished Josh. The two song policy always favoured him. Dave from Cronulla. Doesn’t go left but reaped solo sessions at Pinnies and The Bubble with just Dingo a few days in a row. Landed a solid mackerel which fed everyone for days. Grant from Byron. Third time to TIL. Didn’t miss a session and put the younger guys to shame. Almost landed a 25+ kg fish (the biggest we’ve seen in Telo for a while) unfortunately the line snapped just as we were about to get it onto the boat. Darren from Byron. Darren’s voice is still echoing inside the barrel at Max’s Left. SOLID barrel one day out there. 54th birthday this trip and celebrated with a few binnies on the boat with Grant and Dave while they ripped in a few solid mackerel and tuna. Mal from Sydney. NSW. Second time to Telo and decided to bring his buddy Mark along this time. Gave GTs a good crack and pretty much any other wave or session we had. So there you have it. Waves the whole trip with a really nice 4-6 foot swell for a few days early in the trip. Stand out session was GTs where the guests were all trading standup barrels with just us out. 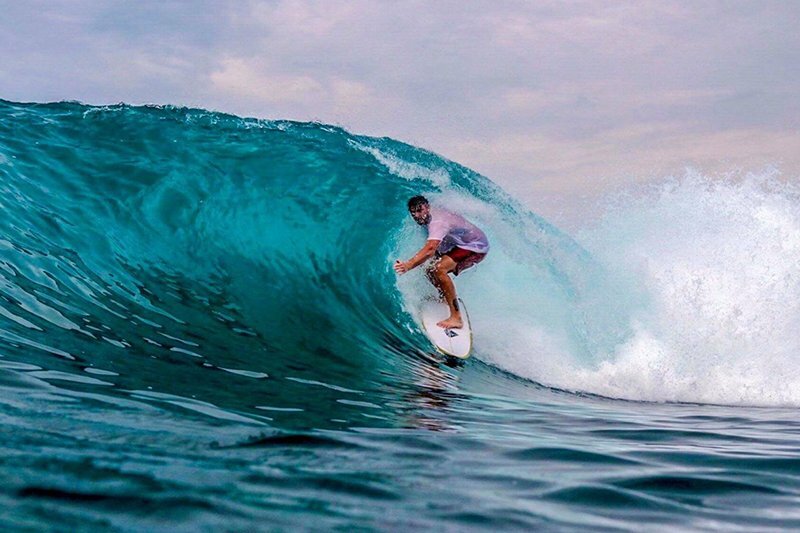 Max’s Left was doing its thing each day – hard to drive away from with endless lines constantly rolling through. 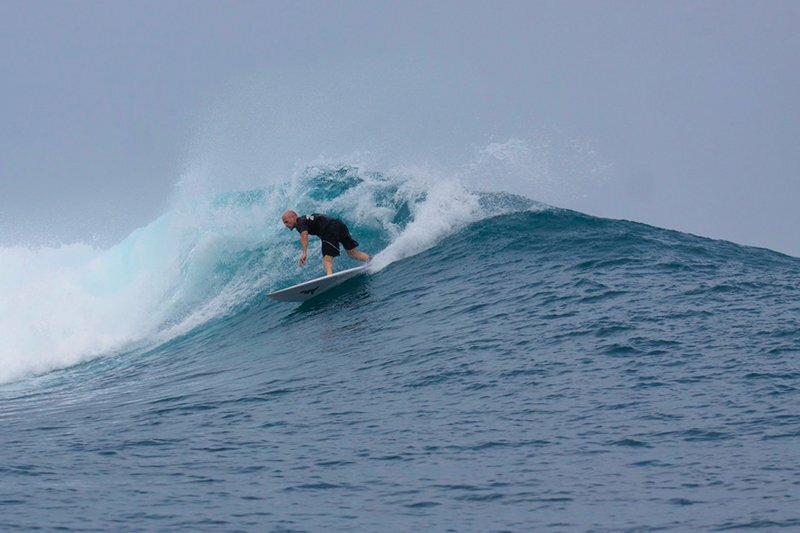 A trip memorable for all the right reasons: sick waves, fireworks, fish, laughs and beers with good mates new and old.